Hashtags seem to be #inescapable. Like them or loathe them, they are a feature of modern life and are here to stay. But are they useful for you as an author? Can hashtags for writers boost your writing efforts on social media? I recently explored social media for authors in-depth. However, hashtags for writers is a subject deserving closer treatment because choosing the right hashtag can make your tweet, Facebook post, or instagram go further. You’ll know that I’m no believer in ‘magic bullet marketing’. If you’re expecting hashtags to do the legwork of marketing your book or writing alone, you’re bound to be disappointed. However, I do feel they can play a valuable, supplemental role in your book marketing. 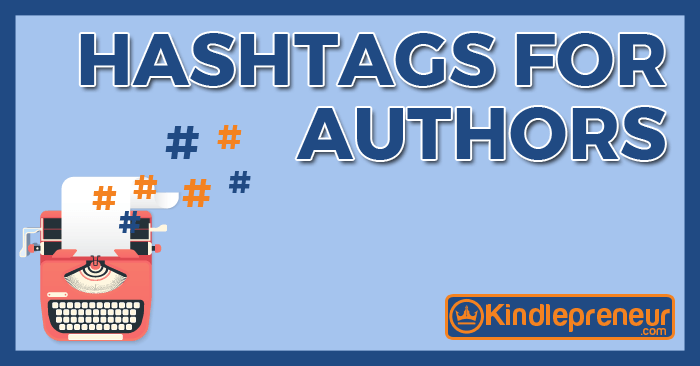 So what do you need to know about hashtags for writers? Before we delve deep into how and where to use hashtags, let’s get straight to the good stuff – the best hashtags for you as an author! I’ve taken the time to track down and categorize the most useful hashtags out there. I’ve also researched how many of these are used an hour on average, so you can get a good feel for their popularity, competitiveness and overall reach in the social sphere. Forgive me if you know this, but hashtags originally developed on the Twitter platform. They were organically created by Twitter users, and the company then adopted them as an official feature. Since that time, they have become ubiquitous across social media. You can find hashtags on almost any platform you can think of, including Facebook and Instagram. 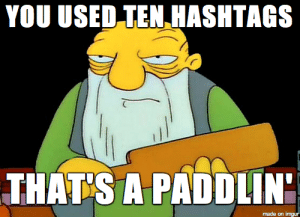 So why do hashtags matter for writers? Simply put, hashtags are a way of categorizing your social media content. This makes it more easily discoverable by others. There are many millions, sometimes billions, of users of the major social platforms. Inevitably, a lot of content gets lost amidst the noise. The algorithms underpinning the social networks curate the content we see, meaning a lot of it gets potentially overlooked. Share your work. By making a social media post linking to some of your work, and applying a hashtag, you categorize the post. So, for example, if you tagged a link to your latest military sci-fi novel as #militaryscifi, it would help people interested in this genre to discover it. Join an event. Many events in the writer community have hashtags to go alongside them. For example, Nanowrimo has its own hashtag, and there are many others associated with different writer challenges. By using these hashtags as an author, you gain a sense of participation, and can see what others in the challenge are up to. Connection. Many users of social media platforms follow specific hashtags. They then are presented with a feed of all the content that is relevant to them. By applying relevant and popular hashtags, you can connect with people that are interested in the same areas of writing as you are. Conversation. Perhaps there is a hot topic within your subsection of the author community, such as a controversial new marketing technique, or an absorbing new read everyone wants to share their take on. By finding popular hashtags related to conversations, you can go from spectating to participating. Overall, hashtags are all about sharing and connecting. They help you put yourself and your work out there to kindred spirits who might otherwise never encounter it. Now that you know the reasons behind using hashtags as authors, I’ll also share my take on the right and wrong way to use hashtags as a writer. With the abundance of book marketing options out there, you should be sure that you stand to benefit from ‘bang for your buck’. Even though using hashtags is free, it still represents an investment of your time and energy. Like anything in the world of author marketing, there is a right and a wrong way to do it. Don’t spam. Sometimes, you see people stack endless hashtags in a single post, and it’s a little cringey. It comes across as desperate and attention-seeking. The key to using hashtags is to restrain yourself! Select a few relevant hashtags for each post. If you need guidance on the right number, get a feel by following different authors you admire and seeing how they do it. Humor. There is an art form to humorous hashtags. If you have a comedic side to your personality, don’t be afraid to show it. A well-placed sarcastic or ironic hashtag can put a smile on the face of your followers. Value. Don’t be the author who shamelessly uses social media and its hashtags for endless self-promotion. Try and provide value with your content. Inform or entertain your followers. Ironically, this is likely to lead to better outcomes in terms of promoting your work! Tools. Consider using a social media assistance tool, such as HootSuite. This helps you to manage your social media presence in an efficient and effective way, and stops you falling into the trap of undisciplined and excessive scrolling through various apps! 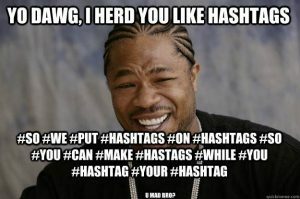 Like anything, you’ll get a feel for hashtags as you grow in your use of them. If you’re already an active Twitter or Instagram user, hashtags might already be second nature to you! If you’re not, no worries. Everyone started somewhere. I delve deep into my exploration of social media for authors here. Twitter. Probably the best social platform for authors wishing to join conversations and put their voice out there. Twitter makes it easy to see how popular various hashtags are, so you can easily see which is likely to produce the best results for you. Instagram. Instagram is probably the most popular social network among the younger generation, and it’s built for images. You can apply hashtags to image posts such as quotes from your books, or even high-resolution images of your book covers or writing life. Facebook. Although not a major feature of the platform, Facebook does make use of hashtags. You can use them to make your content more easily discoverable by your fellow Facebook users. Basically, almost every social platform out there makes use of the hashtag or a similar feature. Failing to use them is a wasted opportunity for more exposure and fans. Thanks for checking out my guide to hashtags for writers. I hope you found it #useful and #interesting! I’d love to get your take. What hashtags do you personally use as part of your author marketing? Are there any awesome hashtags you feel your fellow writers would benefit from following?